Created to meet any protective and shielding need completely and in a customized manner, Pratic outdoor covers adapt to any architectural context in terms of space, installation solutions and design. Self-supporting, wall-mounted or suspended installation between two walls, One, Tecnic and Alutecnic sun covers rely on high-quality materials able to excellently withstand damage from wear and bad weather. In the Pratic Concept workshop of ideas quality combines with technology, always seeking the most convenient and functional solutions to use this refined collection of sun screens. One combines pure aesthetics with maximum load resistance, able to withstand bad weather conditions and meet the need for shade even in very large areas. 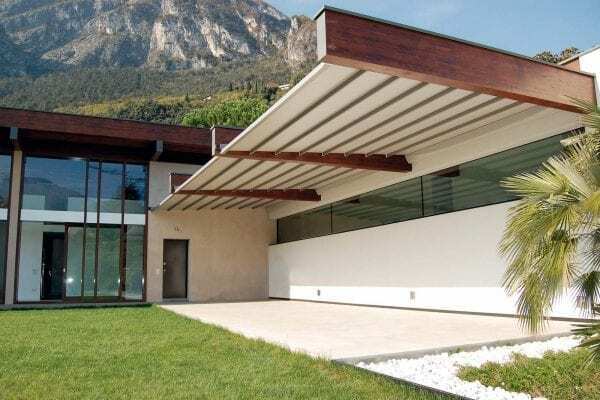 While Tecnic is the sun cover with essential lines, tested in the Pininfarina Wind Tunnel and equipped with a special drip catching device that prevents water from flowing under the awning. 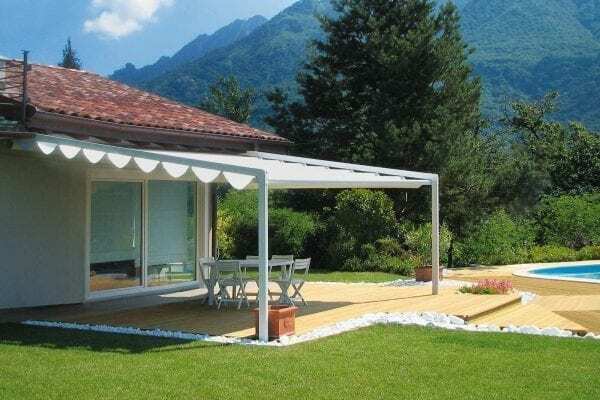 Finally, Alutecnic, the latest addition to the Pratic line, is a classic and priceless cover for the outdoors, guaranteeing optimal technical performance thanks to its special retractable PVC awning, available in the shading, non-shading and micro-perforated filtering versions. 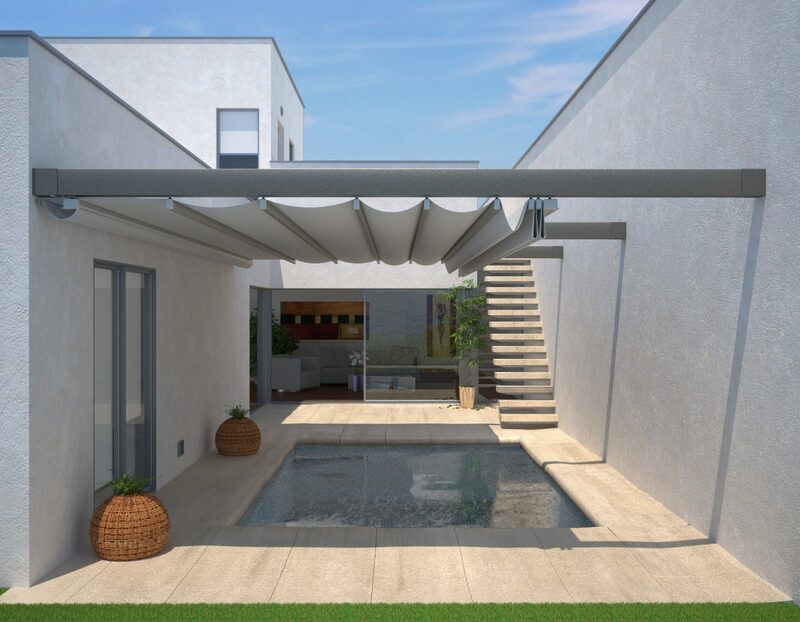 All the models in the Pratic range are equipped with retractable awnings that automatically slide along aluminium guides to adjust the opening, allowing the light to filter in or, on the contrary, protecting the space underneath from sun and the weather. This collection also has extra features specifically designed for experiencing the outdoors in any weather conditions: Slide and Slide Glass windows allow you to completely enclose covered area, while ensuring that you remain in constant touch with the outdoors; the LED Line lighting allows you to create an appealing open air living space, enjoyable even when the sun goes down. Design with comfort and elegance, with great customization possibilities even at an aesthetic level. All outdoor covers can be integrated with an elegant under-canvas, chosen from the many Fabrics Collection options. For the aluminium structure, in addition to the eight classic colours, Pratic offers thirty new Tiger colours with warm hues in earthy tones: a range of paints that ensure top performance and long-lasting aesthetic results. 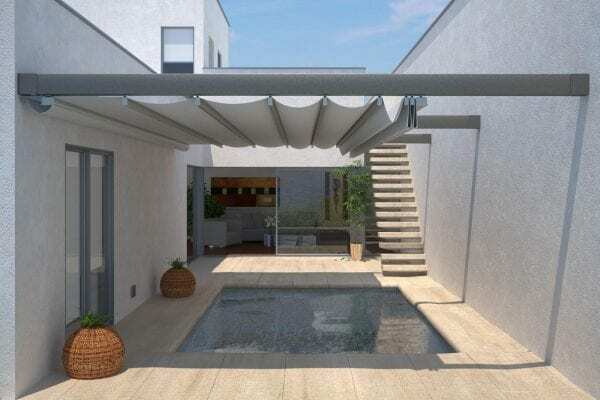 One, Tecnic and Alutecnic will become distinctive architectural elements of your outdoor area; designed to protect and protect themselves safely, with a designer touch that harmoniously fits in with the surrounding area, now enjoyable all year round. Excellent performance of use and cutting-edge technologies characterize Alutecnic, the precious design cover, which includes the best product innovations conceived by Pratic.